What: Traveling through Somalia, Sudan, and Eritrea to find his father. Should I read it: Absolutely. It’s a thrilling coming-of-age tale with important historical narratives. 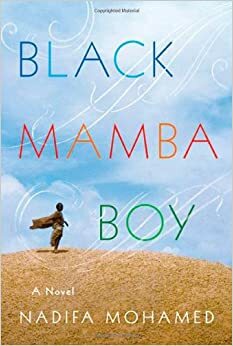 Black Mamba Boy is a beautifully written tale of perseverance and hope set against the rough sands of Somaliland, Sudan, and Eritrea as a young beggar boy named Jama sets out to find his father after his mother’s death. Jama is a wry, yet oddly noble, character who is fostered by a sense of awe at the world outside his little Aden corridor. Nadifa Mohamed’s writing is brilliantly engaging, her research creates an altogether realistic and haunting image of North Africa under Italian and then British colonial rule in the 1930’s. The characteristic red dust of Jama’s hometown lingers through every page as Jama grows from an agile child to a keen man, learning from his mistakes, falling in love and bearing the consequences of his actions, eventually discarding the ghost of a father he sought for protection and instead emerging as his own strong, capable man. This is not a romantic story, if anything it is an epic roman à clef that focuses on a slice of North African history the world ought to remember. Black Mamba Boy captures your attention and doesn’t relinquish its hold until you have laughed, shuddered, nursed a small bitterness at the barbaric injustices of imperialism, and ultimately triumphed with Jama and the lands he traverses. Black Mamba Boy is one for the bookshelves.